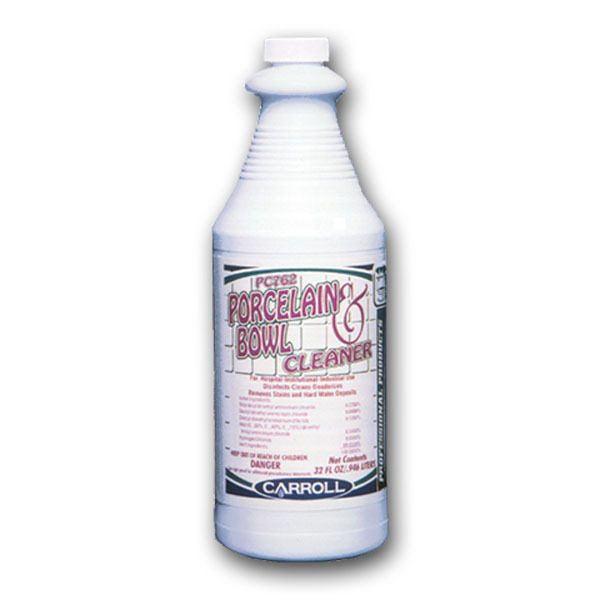 This disinfectant toilet bowl cleaner is especially formulated to kill many germs commonly found in hospital, industrialÂ and institutional environments. It is designed to remove scale and hard water deposits as it disinfects toilet bowls andÂ urinals. It contains an acid compatible detergent system that removes resistant stains and increases its disinfectantÂ action. When used as directed, this product cleans, disinfects, and deodorizes in one step.Â The broad spectrum efficacy of this product in toilet bowls and urinals has been evaluated in the presence of 5% serumÂ and found to be effective against the following organisms by the AOAC Use-Dilution test: Staphylococcus aureus,Â Shigella dysenteriae, Salmonella cholerasuis, Escherichia coli, Pseudomonas aeruginosa, Serratia marcescens,Â Salmonella Typhi, Streptococcus faecalis, HIV-1 (AIDS Virus).